Article that we published recently about there being a lot of art, jewelry and sculptures buried at the bottom of the ocean because of many thousands of ships that sank over the millennia garnered a lot of response, so I thought I should shower you with another similar article today. This one is regarding gold. I’m sure that as soon as I mentioned gold I got your attention. What you read in the article title is true. I didn’t want to sound click baity, so I just said everything upfront, oceans do have upwards of 20 million of tons of gold in them. When you compare that to the 171 thousand tonnes of gold that we have already mined, you start noticing right away that there’s some serious fortune to be made by mining the oceans. You’re however won’t get far if you do decide to mine gold from the oceans. Most of it is in the form of small particles. We’re talking billionth part of a gram per litter of ocean water. 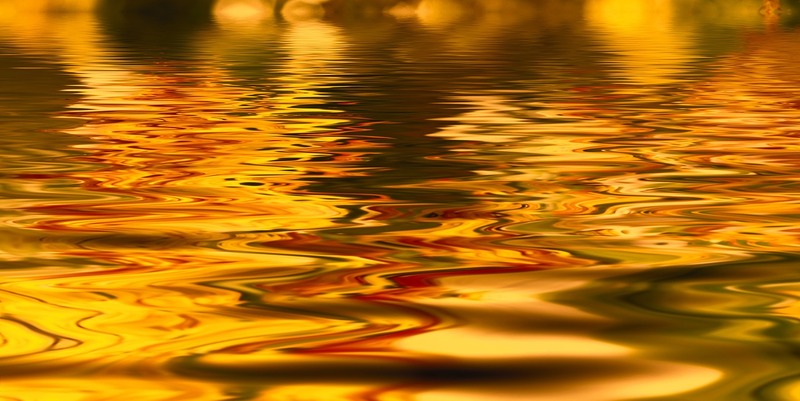 You’d need to process very large amounts of ocean water in order to get just a few grams of gold. Price of gold still makes this process very uneconomical. Some gold is at the very bottom of the oceans as well. However, considering that the average ocean depth is about 2.5 miles, plus the gold is embedded in a couple of hundreds of feet of rock and needs to be additionally mined, that also isn’t a very profitable method of extracting this precious metal. In other words, even though the oceans have very large amounts of gold, it isn’t easy to get at it, at least it isn’t with the tools we have now. Who knows what the future will bring.